QUALITY is extremely important for us. 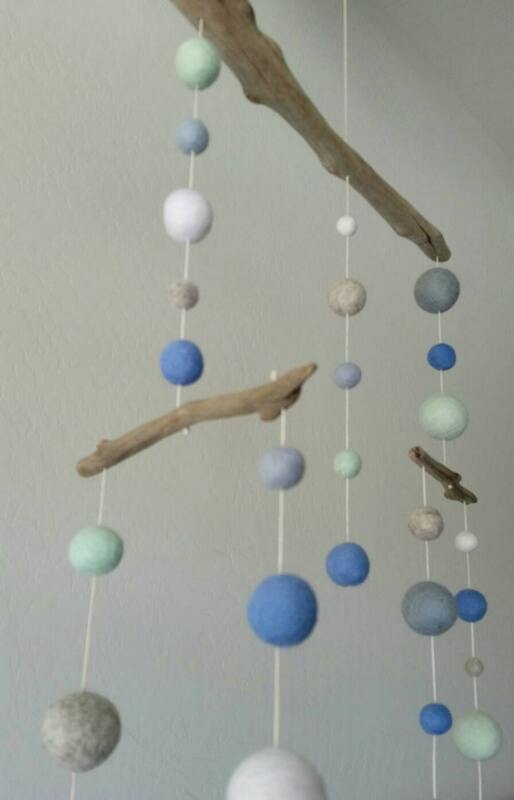 We use high quality felted balls for all of our products. 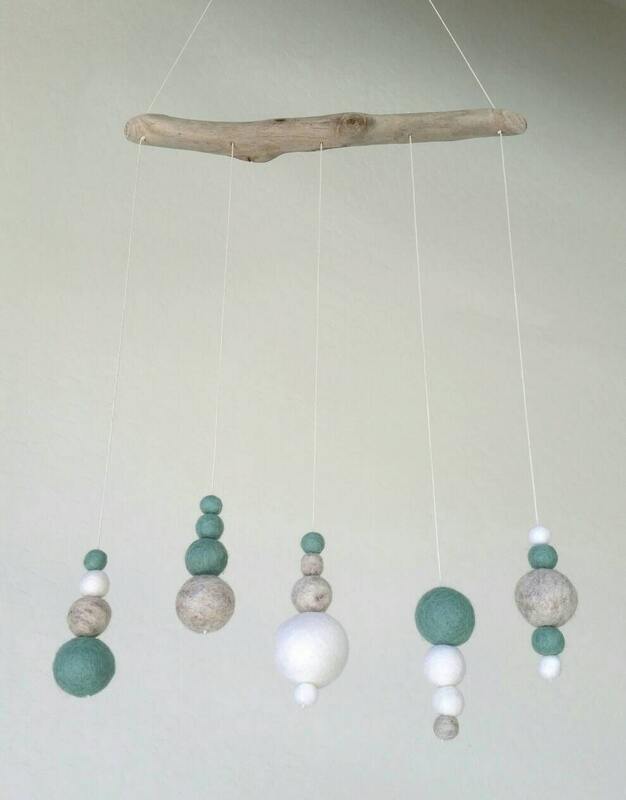 The balls are made of 100% wool and are felted in Nepal by a certified fair trade company that uses a specific dye which contains no toxins. 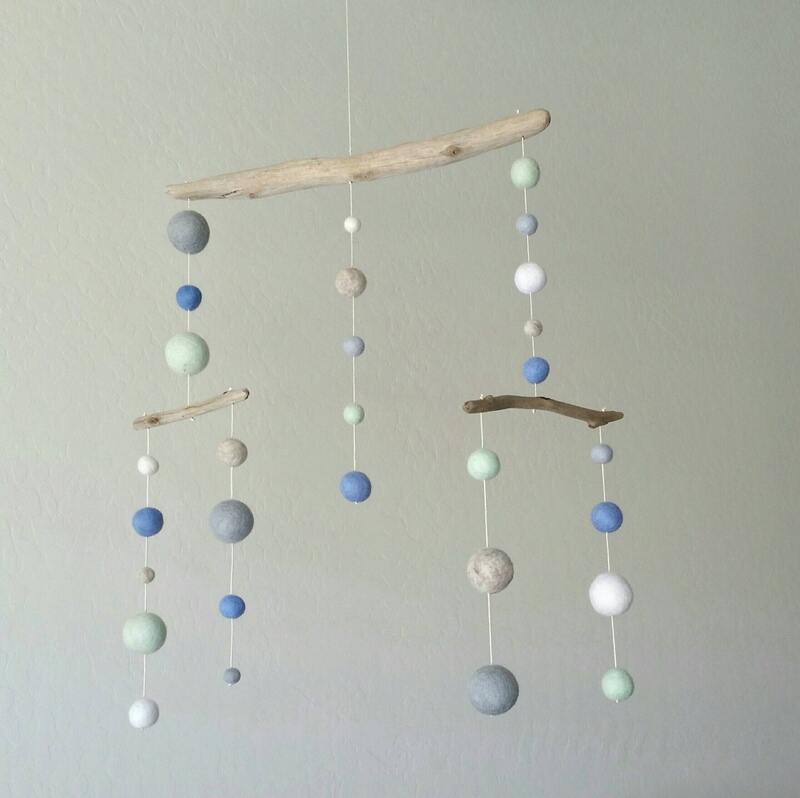 Similarly, the driftwood is sourced from our Pacific Ocean. It has been naturally weathered by nature's elements--no chemicals used. 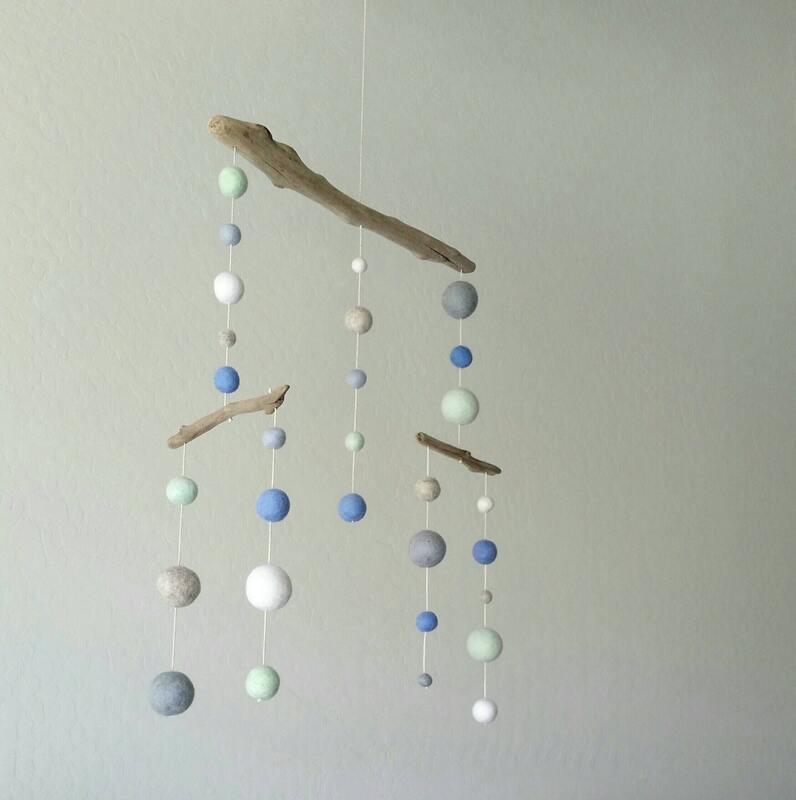 Due to the unique qualities of the driftwood pieces, each mobile will be unique. There is variation in color, texture, thickness. 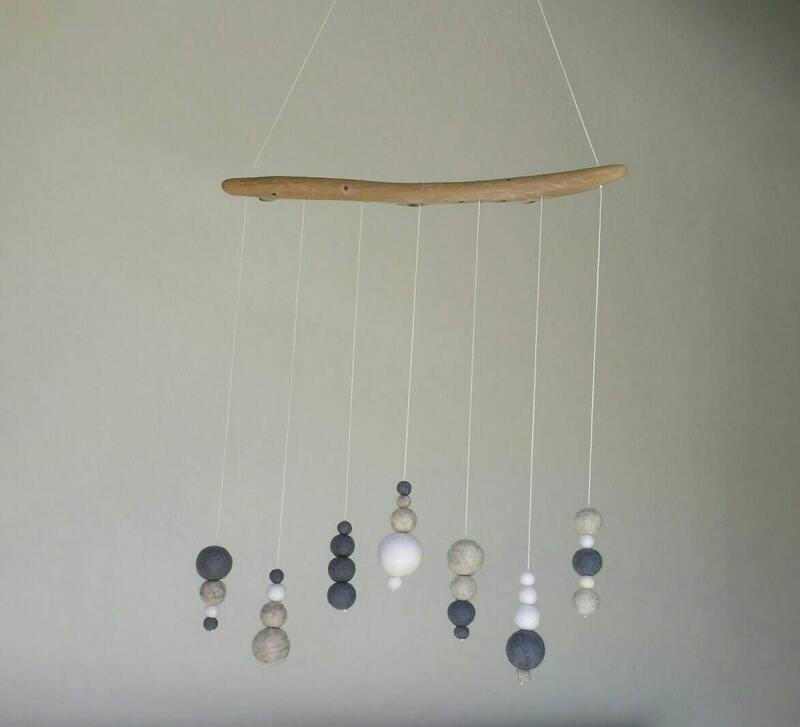 If purchasing a custom mobile, I will send you pictures of the driftwood pieces I have available in stock so that you can choose which one you like best. After the mobile is created, I will send you a picture for approval. This item is made in my smoke-free home studio and will be ready to ship in about 7 days.